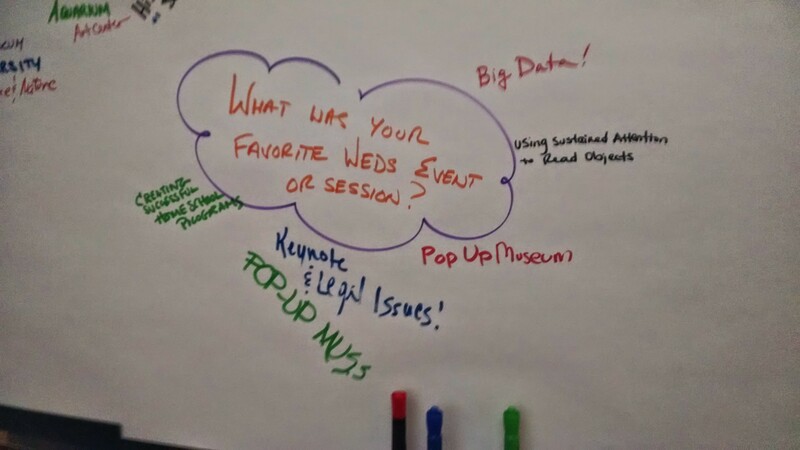 At the 2014 conference, NEMA launched a new set of sessions styled as “Think Tanks,” or opportunities to have thought leaders and conference attendees work together in structured brainstorming to consider issues in the field, and what museums’ assets, opportunities, barriers, and possible action items are to create change. The Think Tank I attended was on improving and promoting diversity in the museum field, especially in museum employees. Though this has been discussed before, in light of recent studies that show how quickly the traditional museum-going public is being eclipsed by the growth of other segments of the population, the question remains key in the quest to retain museums’ relevance in the 21st century. 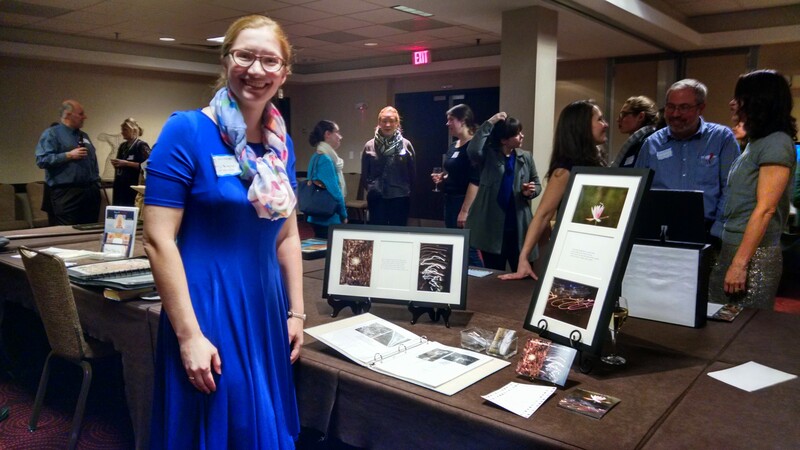 PEM’s “Museum Action Corps” intern program was a paid internship that targeted students from underserved communities, and featured a collaborative project each semester. This one, from 2007, was an oral history video on the changing face of Salem. The first task the Think Tank took on was trying to encapsulate what kinds of diversity we seek as a field. Recognizing that ‘diversity of thought is even more important than diversity of look’ to promote change, while not underestimating the impact of the ‘this place is for people like me’ effect, meant that our definition in itself was diverse. The questions raised included ‘how can we define/identify what diversity is – and should we?’ and ‘what kind of diversities are priorities for museums?’ These are both much bigger ideas than we had airspace for in an hour long session, but I would love to hear your thoughts! We then split into groups to discuss the following topics. How are museums well positioned to diversify? What do we have in our ‘toolbox’ that can help solve the problem, and what opportunities do we have or can we create to improve the state of diversity in our field? This is a really positive place to start, and while it’s both true and unfortunate that the group who chose to work on ‘barriers’ was twice the size, there was still some really good discussion here. Some of these barriers are easier to knock down than others, but there was some good follow up discussion on how to get there, enumerated below. Sensible job descriptions – reducing the entry barrier by making job descriptions and requirements more feasible for a wider range of applicants. Putting a commitment to diversity in the mission statement, inquiring at new jobs what their commitment to diversity is. Consider: where are we posting jobs? where are we advertising? Do we only talk to ourselves? Diverse staff should be in every section : curatorial, board, education, facilities, front line staff, everywhere. Seek partnerships with the organizations that are working where we want to – we are each others’ assets. Get to know your coworkers – they’re probably more diverse than you’re aware of, and have connections, skills, and ideas that aren’t being used. Existing is not enough if people targeted are not aware/interested: make sure you have what people need/are looking for, spend the time and effort to get the word out once you do, and make it lasting, not a one-time thing. Metrics : when have we reached the goal/balance? How diverse is ‘enough?’ Maybe we’re never there, always need to be thinking, working, aware of changing contexts. Being realistic about the effort, not just seeking to fill quotas: what does success look like? Results do matter, but numbers are not the only method of measuring institutional change. Open dialogue is important, more important than comfort, even. If we’re outside our comfort zone, that’s probably a good thing! Or, keep talking to me here! Do you know of any projects or initiatives that are working to make the museum world a more inclusive one? Feedback, whether formal or informal, is the most constant thing on the menu for museums who want to figure out what’s actually happening in their spaces. Have you noticed how data-hungry people are these days? From fitbits to count your number of steps per day to ways to measure your driving habits, your energy consumption, and the efficiency of your home heating system, everyone seems to love a bunch of numbers to crunch. The museum field is no different. 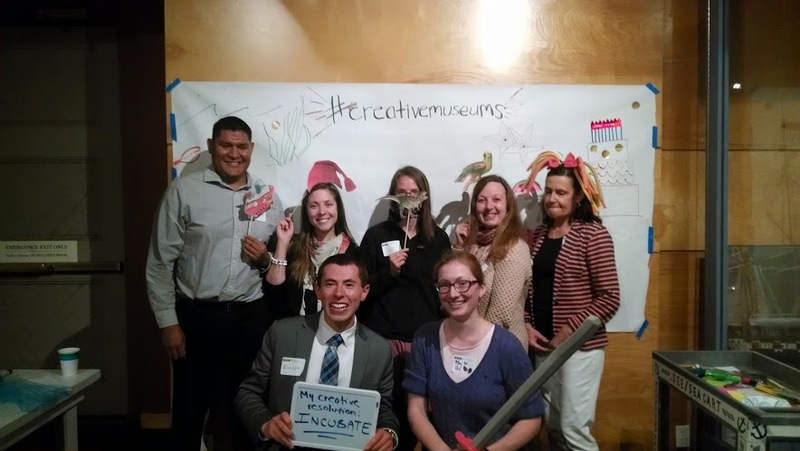 Fortunately, Boston’s MFA recently paired with the folks over at La Placa Cohen to create the first city-focused Culture Track study of museum audience behavior in the greater Boston area (these are usually done at the national level). The announcement, with links to the entire report and the summary presentation, is here. The study aimed to understand audiences, not just “What are they doing? How are they engaging in culture? Why do they decide to participate?” but also “What’s really driving or discouraging audiences? How do local trends compare to national ones?” The study was also planned as a test case as a way to establish “shared & actionable data” for museums in the area. Since 2011, the percent of respondents who attend at least one cultural activity per year has increased in almost all fields. The youngest audiences drive the market in Boston: cultural attendance among the younger ages of respondents is much higher here than the national average. People are looking for “entertainment and enlightment” but the social aspects are very important: almost half of millenials won’t go if they are going alone. Audiences in all age brackets are looking for convenience (low cost, easy parking and opening hours) in addition to there being interesting topics and activities available. All culture-consuming Greater Bostonians are info-hungry and seek out information about their proposed activities ahead of time: websites, news articles, brochures, youtube videos, etc. There were also a number of good questions brought up about further possibilities for study, including tracking visitors who only attend free events, or thinking about ways to improve the perceived value of memberships as organizational support. Lots of food for thought! The importance of emotion – especially strong emotion – is that it is closely tied to memory: both memories already held, and those created in that moment. Some emotions are easier for museums than others (abundance, nostalgia, pride, tragedy). Emotions are complicated – how do we get to the less explored territory beyond the emotions mentioned above? Providing opportunities for emotion is more important than dictating what they should feel – let people find their own resonance. Do you have a particularly emotion-laden object in your museum or personal collection? What makes it resonate? Share it in the comments! Before we launch into all the cool and exciting new stuff planned for 2010, I wanted to take a chance to wrap up some leftover business from 2009. I posted my own contributions to the New England Museum Association conference in November, and promised the slideshows from my co-presenters, Mike Adams of Boston’s Museum of Science, and Nancy Jones of Longfellow National Historic Site. Mike’s fabulous talk focused on the ways in which the MOS adds to existing programs, reworks older programs, and invites in local experts from numerous other institutions to host Archaeology Week every October. Nancy’s marvelous contribution brought art, literature, and history to the discussion, with examples of hands-on crafts, teen involvement projects, music, and a dash of poetry. So, other than taking copious notes, wishing the hotel were just a few degrees warmer, and poking around the exhibit hall, what was I up to? What am I bouncing about this time? It was my great pleasure to chair a session titled “Looking through a New Lens: Interdisciplinary Programming (Even on a Small Budget)” with colleagues and friends from the Museum of Science, Boston, and Longfellow National Historic Site. I’ve included my section of the presentation here, which provides basic background and coping strategies for ‘why do interdisciplinary programming?’ and ‘how to go about it’ depending on whether or not your idea bag is full. Nancy Jones, supervisory ranger at Longfellow NHS then presented on some of the many ways she and her rangers make history, poetry, and art tangible, relevant, and exciting, and Mike Adams, outreach coordinator for MOS-Boston discussed the way their Archaeology week encompasses standard programs, special exhibits, and special events every October. Why do interdisciplinary programming? (Which, for the purposes of this discussion and this blog in general is defined as taking one topic or idea which is usually considered part of one discipline, and looking at it through the lens of another less familiar one.) First of all, why not? There are a lot of good reasons, including giving your staff and visitors variety, attracting new audiences, and just plain having fun with it. Not to mention the fact that in the age of standardized testing and rigid curriculum requirements, museums and other places of informal learning are some of the only remaining ways to explore, promote critical thinking, and generally enliven curiosity. There are a lot of excuses for not doing interdisciplinary programming–expertise, time, and money are the big ones. But depending on where you’re starting to brainstorm your ideas, there are a number of solutions available to you. Have you already decided on a topic, an object, a person or idea? Think about the basic questions: When is it from? How was it made? By whom? Why? What purpose does it serve? How does it connect to today’s life and people? Wonder: Maybe you have a popular program but you’d like to take it further, or in a new direction. Maybe you’ve read an interesting article in a newspaper or magazine and would like to explore it beyond what you’ve read. Love: This is the simple one, and my favorite. Are you a frustrated actor? Write programs that give you an excuse to dress up. Feel like you’re living in the wrong time period? Always wanted to be an astronaut? Think about the things you (and your staff) love: your hobbies, interests, pursuits outside the world of work. Bring them in and share them with your audience: the more enthusiastic you are, the more convincing an educator you can be. Have: The bare bottom line. Still don’t have an idea? Look at what you’ve got. Are there exhibits that you could liven up by changing signage or context? Can you think about them from a different point of view, only tangentially related to the main story you usually tell? Or are you starting with the infamous box of cool junk under your desk? (Mine has multiplied in to several boxes, of spools, coffee filters, neat plastic tubes of different shapes and sizes, altoid boxes, magnets, and heaven only knows what else.) What in that inspires you to make something, explore something, combine with something? Still stuck? Call a neighbor or a friend with the right expertise for what you’re hoping to do. Generally we non-profit types are more than happy to help. Also, don’t forget to poll your staff and make friends with your local librarian. You never know what they might be able to find for you! Many thanks to Mike Adams of the Museum of Science and Nancy Jones of Longfellow National Historic Site! If you’re interested in any of the handouts from the presentation or in Mike’s or Nancy’s presentations, please let me know. Many of the resources I referenced in my presentation are already listed here on Brain Popcorn in the Resources section, and I add to it frequently. Find some of my other program presentations on SlideShare, here.